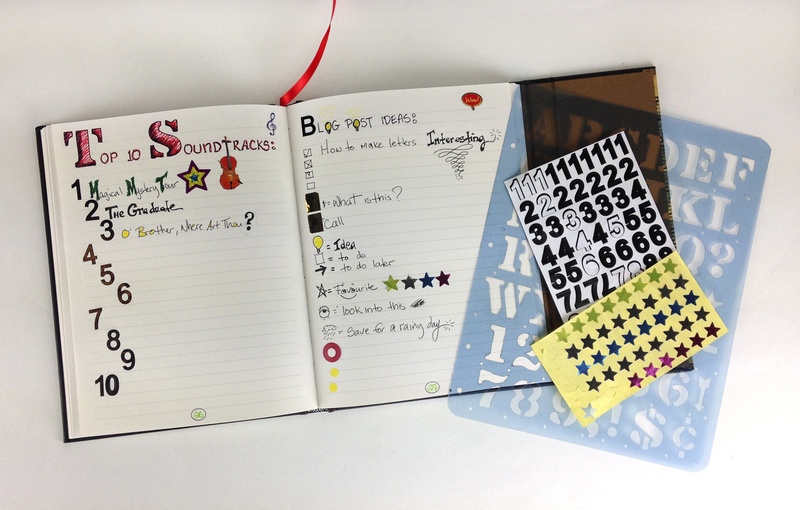 Our Peek Inside… series takes a look inside people’s journals to celebrate their imagination and inspire others. Please send us an email if you have a project that you would like to be featured. We recently received a comment on Facebook from Laura, who asked for our advice on updating (and upgrading!) partially used journals. This got us thinking… Who hasn’t begun writing in a new book, sure of the direction it would take, only to abandon that project after a few entries? We could instantly relate to the pain Laura felt at having these under-appreciated journals lying around and just knew there was still great creative potential left to tap… Laura has let us into the pages of a few of her journals and together we will be brainstorming some ideas on how to “upgrade” them. Check out our full first post with Laura to see the “before” here. Laura had begun writing her blog ideas in an Ultra journal but quickly found it was easier for her to write her drafts on the computer. So, how should we repurpose this barely used journal? When we chatted with Laura she mentioned her passions included music (especially film soundtracks), reading and ballet, among other interests. 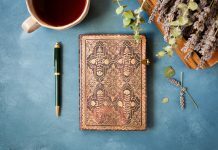 The Paperblanks team got together and we thought this journal would be a great way to celebrate all her favourite things! 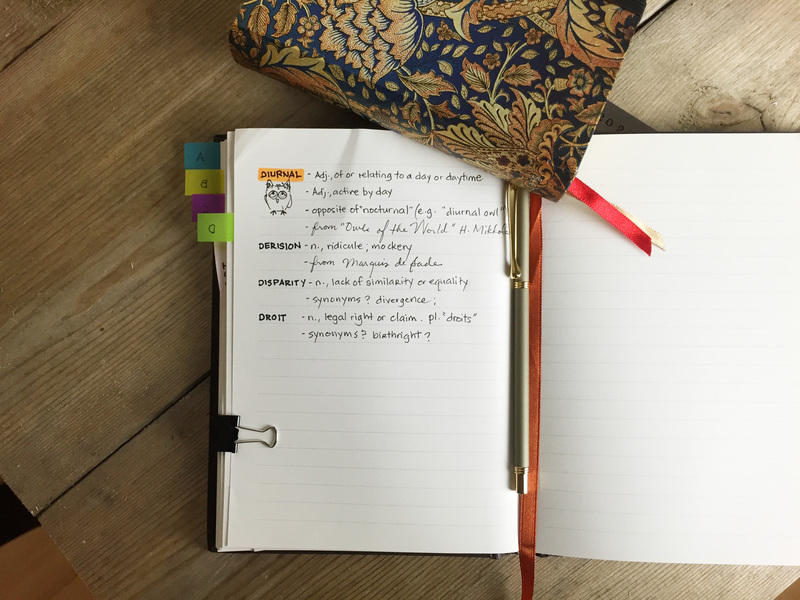 If you, like Laura, have a gorgeous new journal and just aren’t sure where to start, try these quick list ideas to help get you going! The best part is – stickers, stencils and other easy decorative elements can be found at your local craft or dollar store! 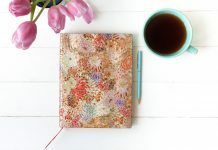 When we first spoke with Laura she wasn’t sure how she wanted to upgrade her Midi Windrush journal; she just knew she had twenty pages of crossed out notes to move on from. 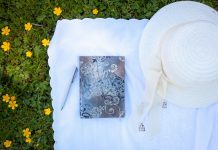 Since that time, she has started using it in her English studies, jotting down new words and phrases as she comes across them. We took this idea to the next level, suggesting to her that she create a personal dictionary or thesaurus. And, what do you know, one of our team members actually has her own version of this! 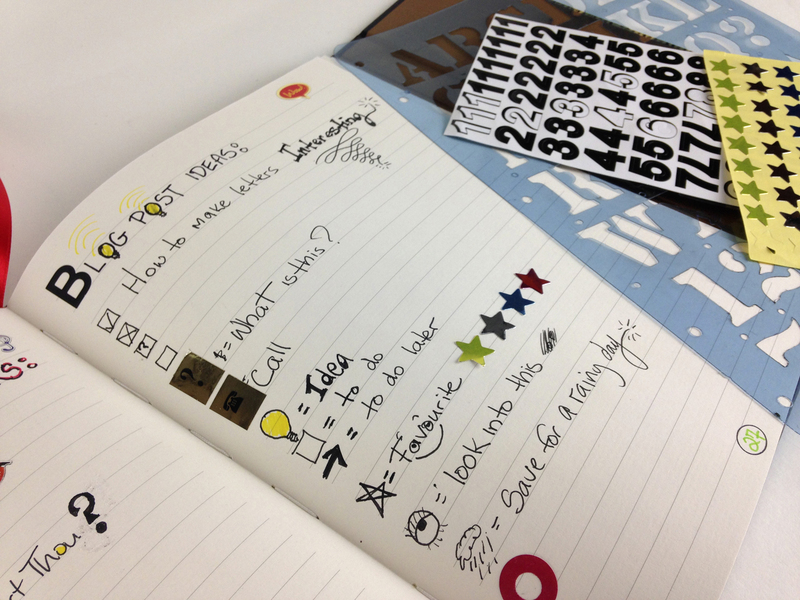 Check out how she has designed her own little lexicon for tips on how to create one of your own! For her third journal, Laura knew she wanted to continue using it as a recipe book, but she wanted to make it more eye-catching. The first thing that jumped out at us (and our readers!) was the lack of colour – in both the words and empty spaces calling out for pictures. 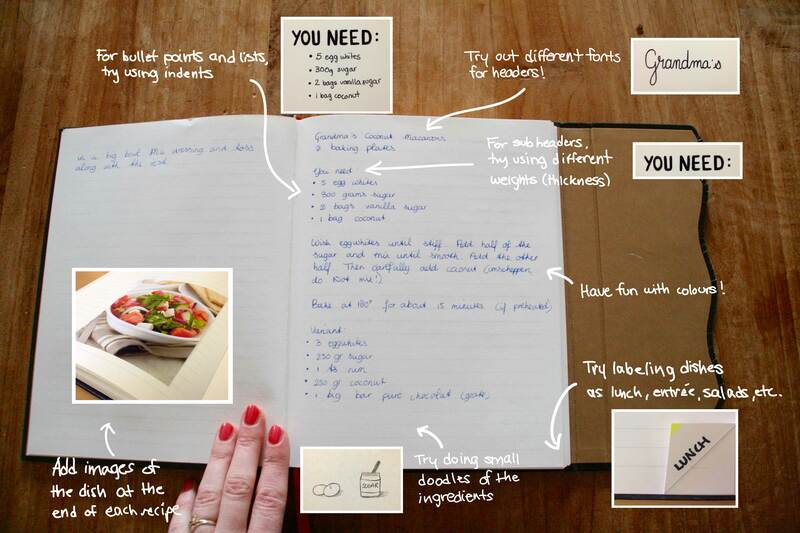 Since Laura has already written out many recipe entries, we focussed on upgrading her existing format, rather than completely redoing the book. 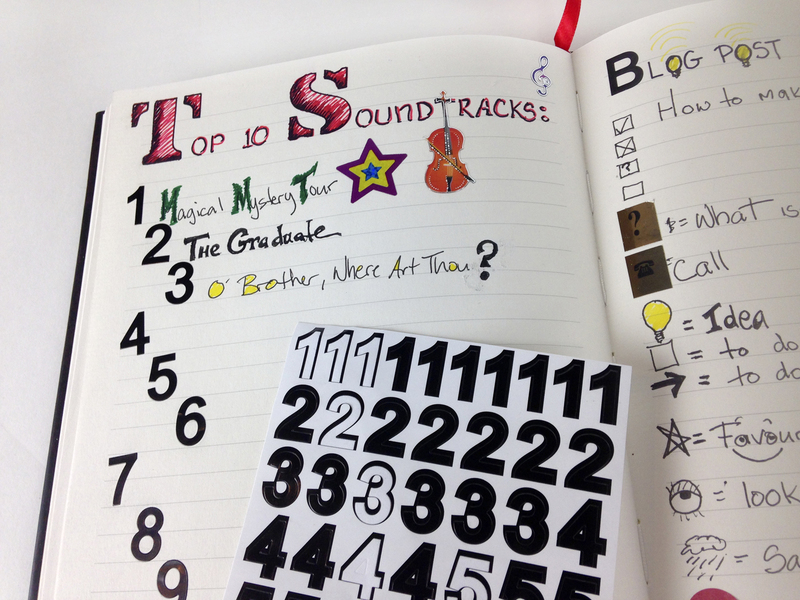 These are just a few ideas for upgrading half-used or uninspiring journals. 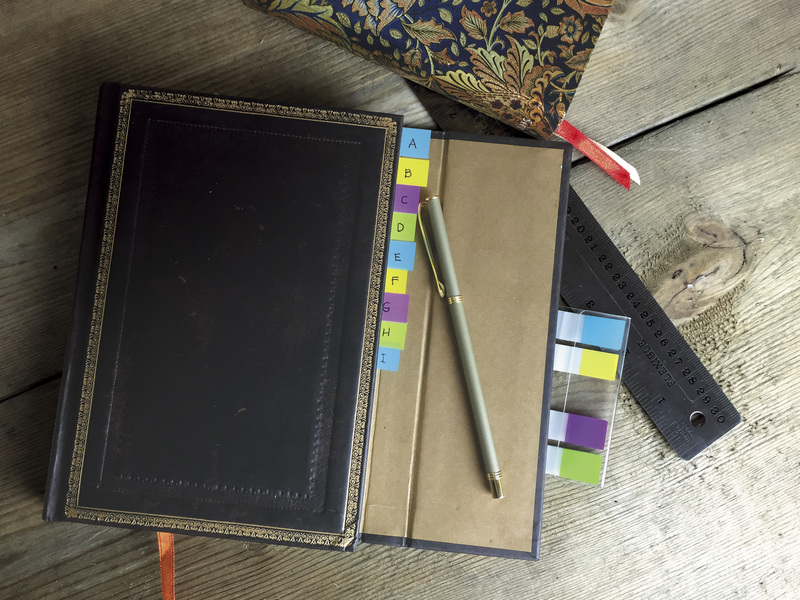 What would you do if you had to repurpose an old notebook? Tell us in the comments or show us on Facebook, Twitter or Instagram and we could end up profiling you!